Today is my niece’s 15th Birthday so this morning I searched through my pantry for inspiration on what baked treat I could take down for afternoon tea. I spotted a new mix which I picked up from the Allergy and Free From fair in London. 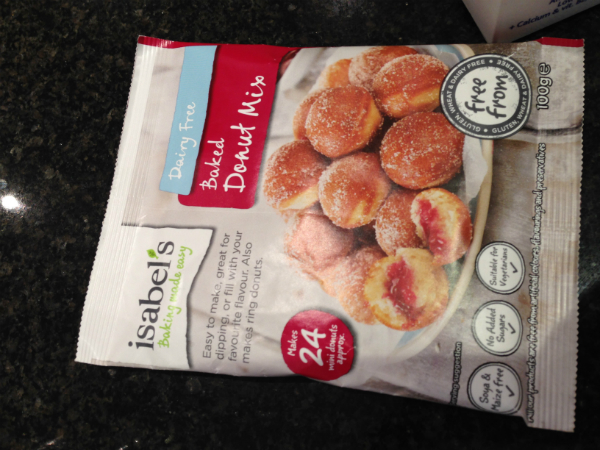 I’m a big fan of Isabel’s baking made easy gluten free Cheesy dough balls made from cassava flour, and this new mix from Isabel is a baked donut mix using a mix of gluten free flours including cassava starch. All I needed to add was an egg, milk ( or dairy free milk ) fat and sugar. I decided to make mine with raw honey instead of sugar, almond milk instead of cows milk and melted unsalted butter instead of vegetable oil suggested on the packet. I think melted coconut oil would work really well too. I try and avoid vegetable oil as it is not a healthy fat. 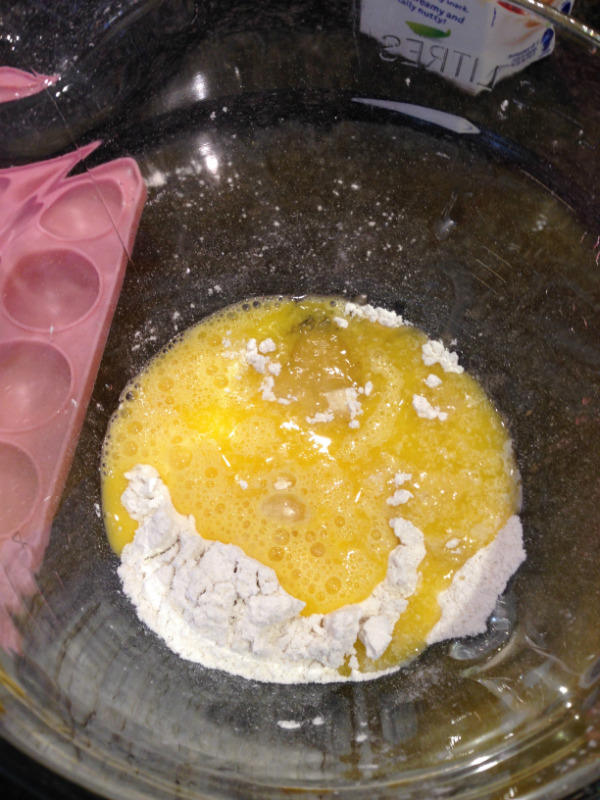 First I tipped the Donut mix in to a bowl and make a well in the centre, next you add the beaten egg, melted butter , sugar or honey and blend together. 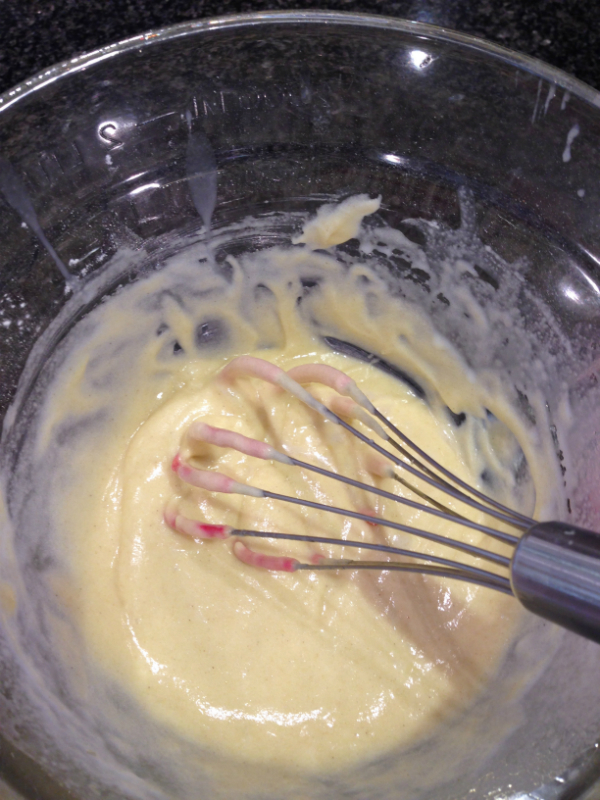 Then I added the almond milk and used a hand whisk to mix together. 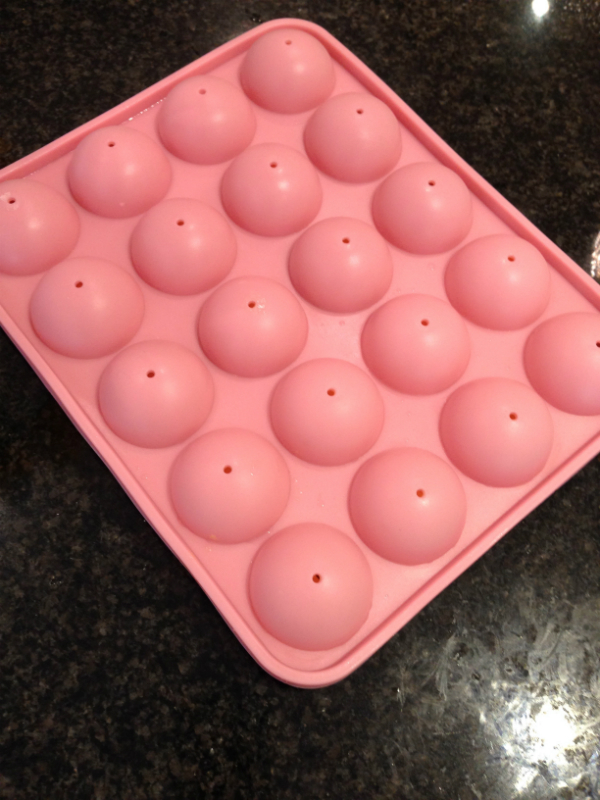 For this recipe you need an electric cake pop maker or a silicone cake pop mould which goes in the oven. Or you can make ring donuts using a donut ring tray. 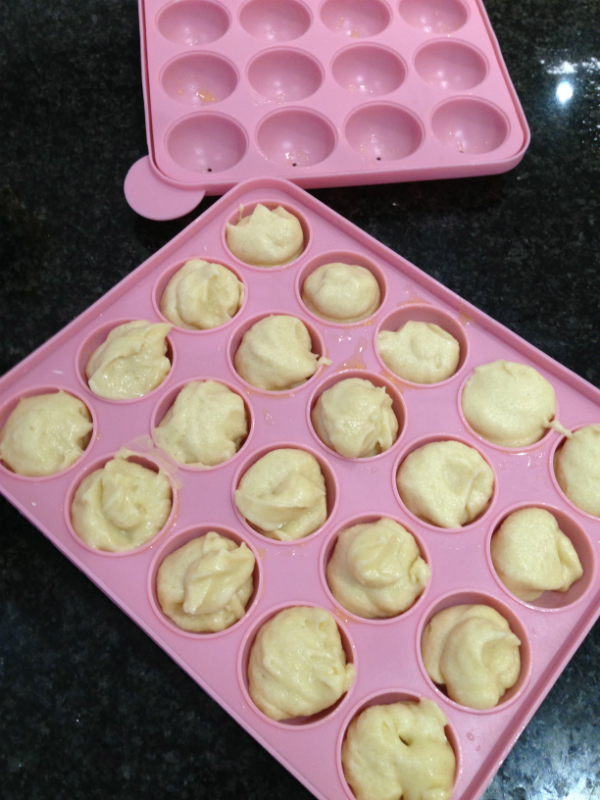 I used a silicone cake pop mould which I quickly popped out to buy ( £9.99 ) you need to grease this mould, I used some spare melted butter. I carefully filled the bottom half of each mould with the donut batter mix . 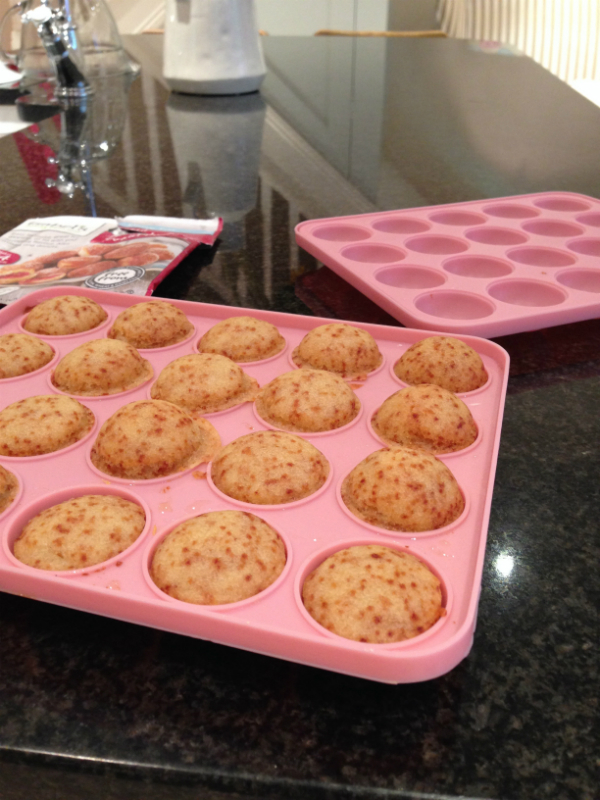 It just went round my 20 cake pop mould , and then popped on the top mould ready for the oven. The mould went in the oven for 15 mins, after 15 mins I carefully removed them from the oven using oven gloves. I took off the lid to check the donuts. 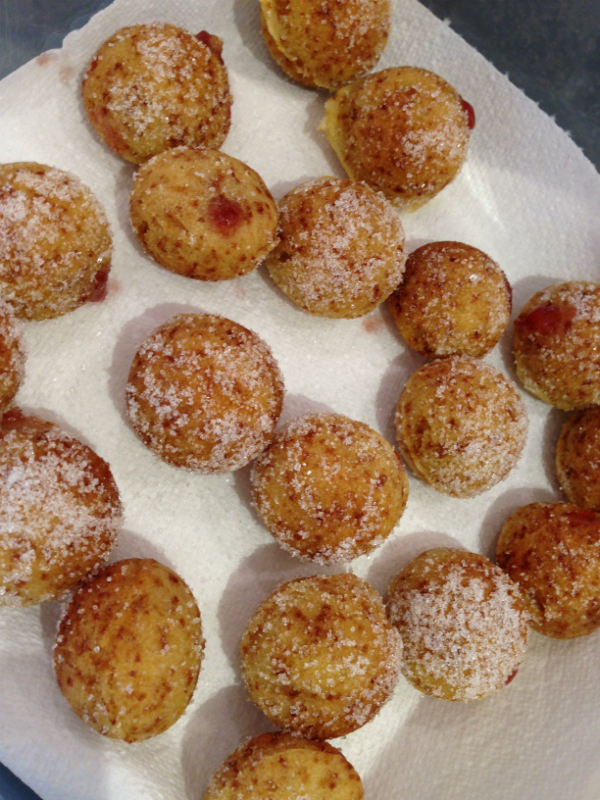 The donuts were a lovely golden brown and had mostly risen well. 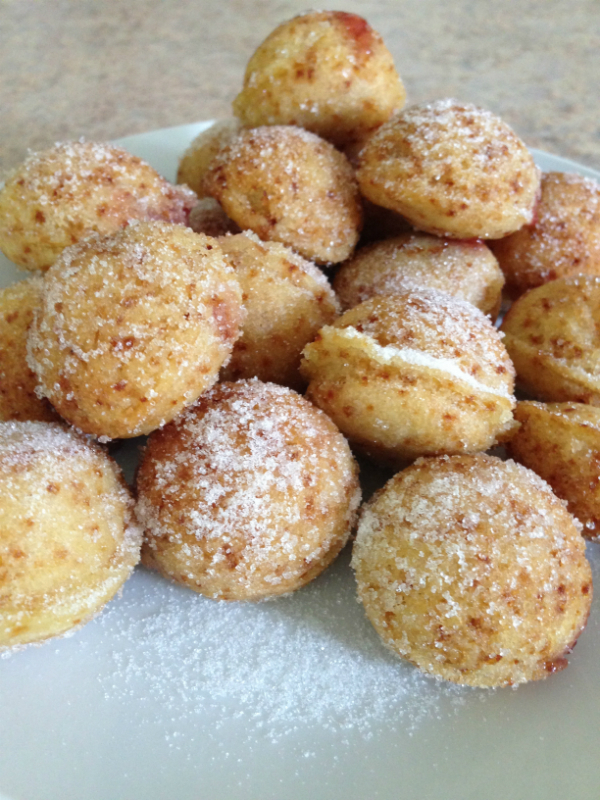 While warm I popped them out and rolled them in a little sugar, they looked amazing and the aroma was delicious! 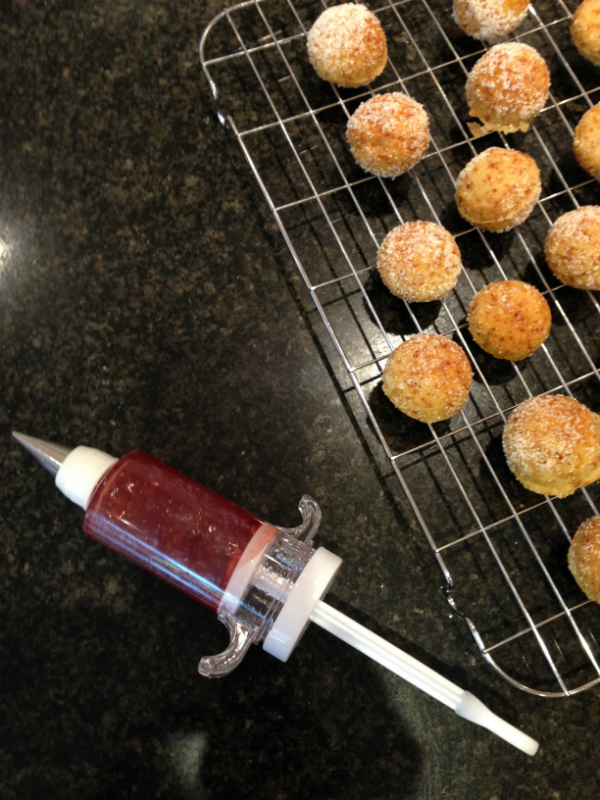 Finally I filled a syringe style icing set with low sugar strawberry jam ( Delfour ) I forgot to pass mine though a sieve which I think would of helped with piping into the donuts. 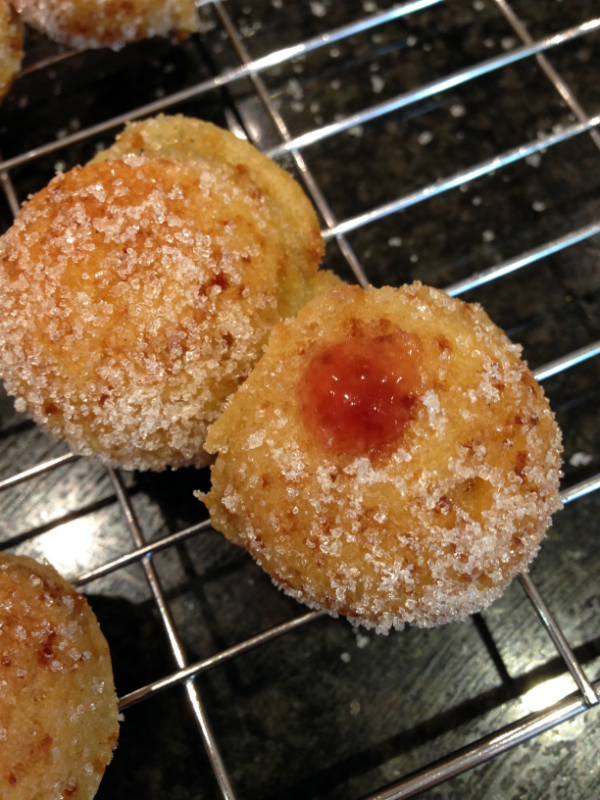 I used the finest nozzle to inject into the donuts. I think next time I will use a thin metal skewer to make a deeper hole first. 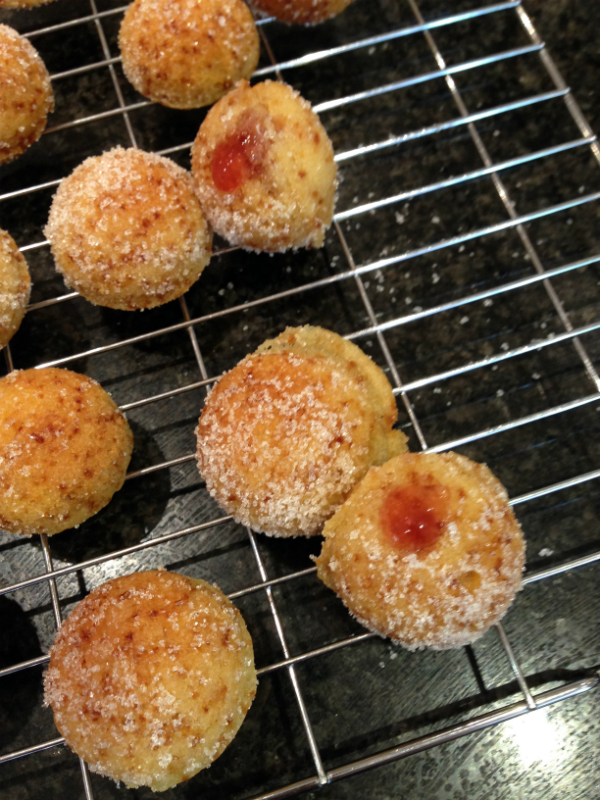 I do love a jammy donut. 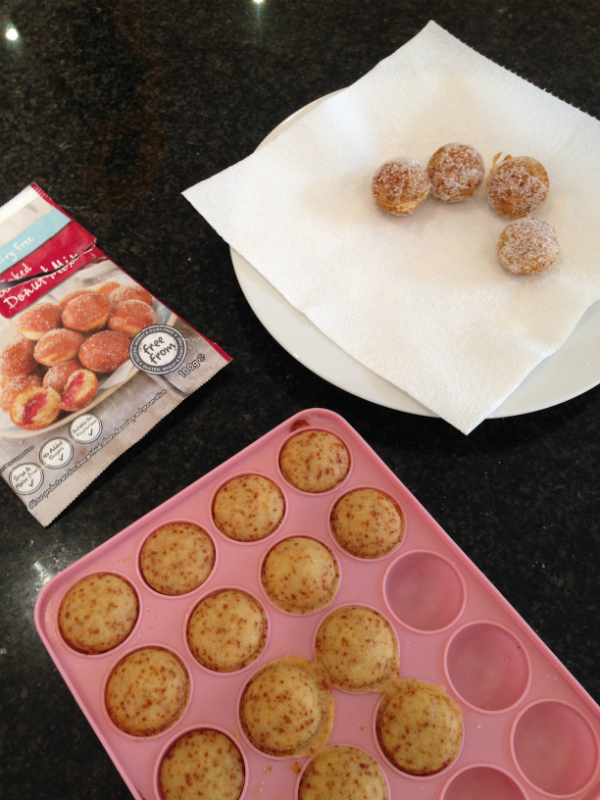 The donuts went down well at the party ( all gluten eaters ) and I thought they were very nice, I think I would prefer a little less vanilla flavouring. 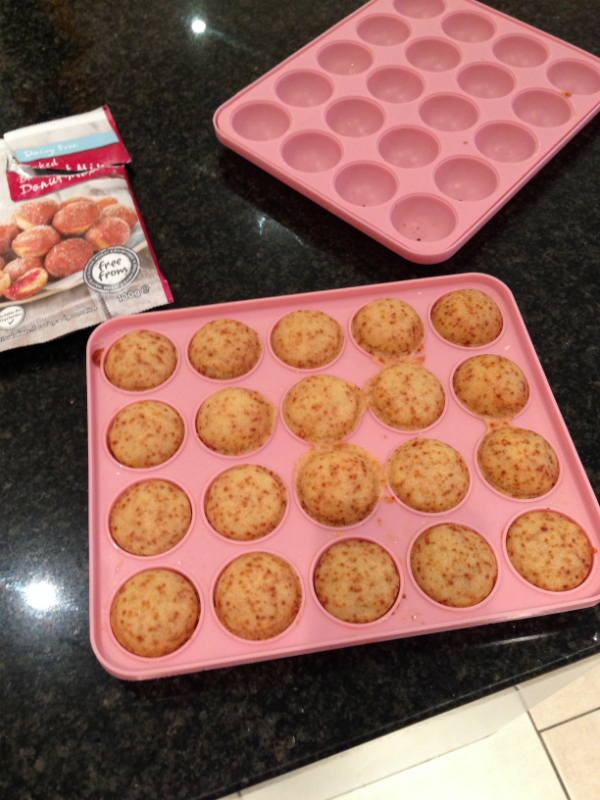 They had a lovely springy texture and if you are looking for a mini treat these would work well.